I paid extra for the small group tour under 16 people complete waste of money! our group consisted of 22, because children do not count! after the morning on capri we then got on a large bus to take us to Pompelii , All 40 of us! Rosella out tour guide was absolutely the best tour guide that I have ever had. She was very knowledgeable, funny, entertaining and she made sure you did not leave a spot until all questions were answered. We started in Capri and had a very small group of 6 people which was also a great way to tour with a guide and the group all got along. 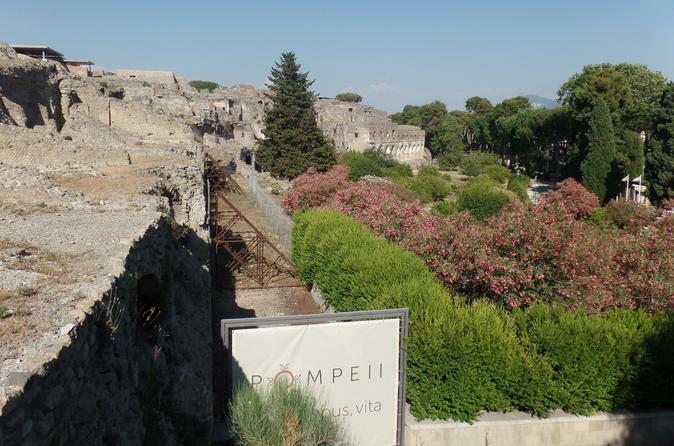 After the tour of Capri we had lunch there and headed to Pompeii for a 2 1/2 tour, the best thing about Rosella was as soon as we got through the admissions gate, she gave us an informative 25 minute discussion on Pompeii it was great. The tour actually went 15 minutes over, but it was so good no one said a word or complained about it. Wish I could take all my tours with Rosella!! Very happy with our guide Francesca. We visited Capri first and had the option of a boat tour around the island, but too cold we thought. We were picked up near our hotel, taken to the ferry, and then to Capri. We had lunch on our own, and then went on the ferry back to Naples. 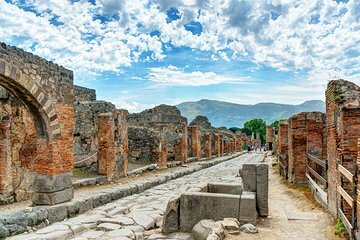 Our driver then took us to Pompeii, where Francesca was very good with guiding us to the most important sights and explaining the area's history and how Vesuvius destroyed the city. Capri was lovely, and Pompeii sad but fascinating. Good combination of experiences, since we had our 15 year old granddaughter with us. Our guide was very helpful and nice. Capri was the highlight and Pompeii was a historical sight to stop by but not a great attraction. Amazing tour! We travelled from Rome to Naples via train and were picked up right out the front by private van and lovely driver. There were only 4 of us on the tour in Capri which was perfect. The time in Capri felt short but it just made me want to come back again and see the whole island. Such a beautiful place! We met a larger group in Pompeii. Pompeii was breathtaking and the guide knew his stuff. Next time I would spend a whole day in Capri and a whole day in Pompeii. Would recommend to anyone who hasn't been to Capri or Pompeii before. Our tour guide was so friendly and very informative.